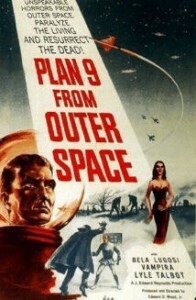 Join Faldor and me for Ed Wood’s 1959’s Plan 9 From Outer Space, the heartbreaking tale of aliens who come to Earth to warn us of the dangers of science but who get their eyes blackened by ruffians just because they raised some corpses from the dead for some reason. What do you want? The other 8 plans failed even worse. Faldor and I analyze the mise en scène, the cinéma vérité, and the pâté de foie gras. 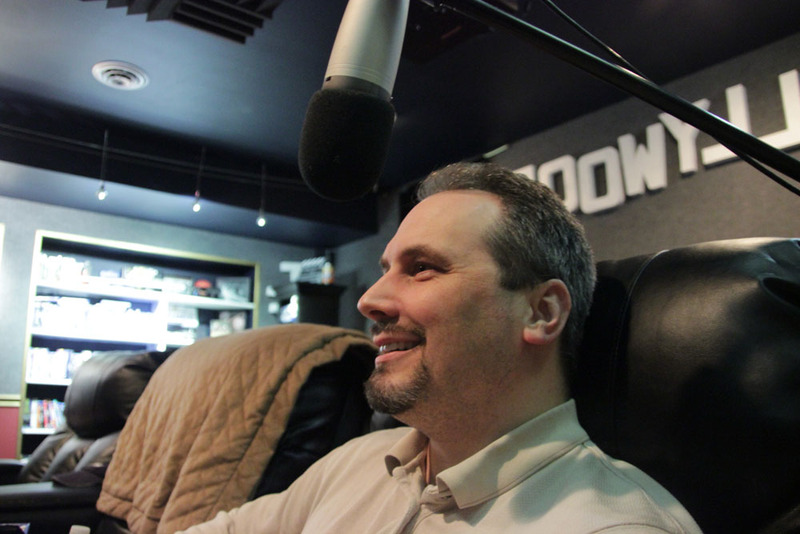 We explore Ed Wood’s career, Bela Lugosi’s career, and the career of some people I mix up with others and/or make up. We credit the film with inspiring countless other films and TV that ripped it off, such as Close Encounters, Star Trek, Babylon 5, and Independence Day. I accuse of the film of being accurate and well-acted; Faldor accuses it of being innocent. I call Ed Wood a war hero. Start the commentary after the Warner Brothers logo, on the countdown. I have seen Ed Wood once, and from what I remember it was ok. I thought Martin Landau acted well, I felt quite sorry for poor Bela Lugosi.